Snoring is caused by irregular airflow that makes the soft tissues in the mouth or throat vibrate enough to produce a harsh or rumbling sound while a person is sleeping. The most common cause of this irregular airflow is obstructions in the mouth, nasal cavity, or throat. There are several things that can lead to blockages in the airway. The most common cause of snoring is obstructive sleep apnoea (OSA). This is a medical disorder where the walls of the throat partially or completely collapse and obstructs the airway. In addition to snoring, OSA can cut off a person’s breathing which leads to frequent arousal during the night to jumpstart breathing. People with this condition experience fatigue or excessive sleepiness during the day, headaches, choking or gasping at night, restless sleep, and mood instability. Snoring can be caused by irregularities in the mouth and jaw. Soft palates that are low and thick, enlarged tonsils, or an elongated uvula can narrow the airway and amplify the vibrations that cause snoring. Tension in the jaw muscles can push the jaw out of normal alignment, which inadvertently blocks the passage of air. The body prefers to breathe through the nose and obstructions in the nasal cavities can cause snoring. These blockages can be anything from congestion due to viral infection or seasonal allergies to swollen blood vessels in the nose that narrow the passageway. Typically, snoring caused by nasal obstructions goes away once the reason for the blockage has passed. Being overweight can cause fat to pile up around the throat and contribute to narrow airways. It is also a risk factor for sleep apnoea. Oftentimes losing weight can alleviate snoring. Alcohol, certain illicit drugs, and some prescription medications relax the muscles in the body, including the ones in the throat. In addition to causing snoring, these substances can aggravate obstructive sleep apnoea. Sleeping on your back is a common cause of snoring. Because they are soft and floppy, gravity pulls down the tissues of the pharynx, palate, tongue, and tonsils. This can obstruct the airway enough to cause snoring and is frequently the reason why your bed mate pokes you at night to make you turn on your side. Although snoring can occur at any stage of sleep, it occurs most often during REM (rapid eye movement) sleep. During this stage, the brain sends out a chemical that paralyzes all of the muscles in the body to prevent the person from acting out his or her dreams. This level of relaxation makes it easier for the soft tissues in the throat and mouth to collapses, especially if the person is sleeping on his or her back. The loudness of the snore is affected by the force of air through the airways. Therefore, when the air is travelling faster, the snore, in general, is louder and more resonant. This answers why babies are capable of snoring too Both men and women can be affected by snoring at any age; however, it is more common in middle aged men. This is due in part to the fact that in general men have a wider neck with denser tissue to cause vibration. Overweight and obese men are far more likely to snore. Obesity causes a build up of excess tissue in the throat and neck area. When these tissues relax during sleep the airways can become very narrow and result in loud snoring. The obvious solution is to lose weight, so taking up exercise and joining a gym are a good idea. Also consider joining a diet club such as weight watchers. Having the support of other members is often a good incentive. Women on the other hand produce progesterone hormones that are known to inhibit snoring. As a result women are less susceptible towards snoring. Some anti snoring devices actually contain progesterone as their basic ingredient. As women approach menopause though their progesterone levels drop and as a result they may be more likely to snore. Lifestyle and health factors are also to be blamed for snoring. These include allergies which can make tissue swell in the nasal passages. Allergies to dust mites, pollen and even hairspray can cause this reaction. Smoking can also cause an inflammation in the nasal passages. You don’t have to be a smoker, as just inhaling second hand smoke can affect your breathing and make your nose feel blocked. Alcohol is another cause as it’s a relaxant. Drinking several glasses of wine before bedtime may well help you to unwind but it can also make you snore! Nasal sprays can give relief to a blocked nose; however, over use of sprays can end up making it worse. Inhaling steam with a few drops of eucalyptus oil or camphor can be a very effective way of opening up the airways and making breathing much more comfortable. You will also be much less likely to snore! Once you are aware of precisely what is causing you to snore, you can then begin treatment to help you stop snoring. There are various practical treatments and stop snoring aids at your disposal. The first step and the most practical step is to try out the various home remedies to stop snoring. This will involve getting into shape and losing weight if your Body Mass Index is over the acceptable range. You will also be advised to quit smoking and drinking to aide in the treatment process. There are also many stop snoring exercises that can be preformed to help with the condition and you can even try the tennis ball? This particular method will stop you from lying on your back while asleep and it will induce the habit of sleeping on your side. If the practical measures do not alleviate or eradicate the problem you will then have to try out one or more of the many stop snoring devices. The devices available are broad and the underlying cause of your snoring will determine which device is most appropriate for you. The last step will be to consider stop snoring surgery. The surgery involves increasing the size of the airway to reduce or eradicate any obstructions. Abnormalities are corrected or excess tissue is removed during surgery to correct the problem. Another variation of stop snoring surgery involves implanting plastic into the soft palate which hardens the soft palate and reduces vibrations. Treatment to eradicate snoring from your life does exist, and searching the internet for ways on how to stop snoring provides the education and the knowledge toward effectively treating your snoring problem, but since snoring is a medical condition, it will be advisable for you to consult an ENT specialist before you decide to use any of the devices available as a specialist will be able to accurately diagnose the type of snorer you are, and this will enable him/her to administer the correct treatment. As everyone knows, snoring is a breathing disorder associated with sleep. It happens only during sleep and therefore is an annoyance to the snorer, and more so for the people around him. The snoring is caused when the air passage is obstructed and the tissues and the muscles at the rear of the mouth vibrate due to obstruction, producing the snoring sound. It can be either the cause of an underlying health problem, or a non-specific issue. The snorer and the people around him are disturbed during sleep by the snoring sound, and do not get a restful night of sleep. The causes of snoring are many, and for these, treatments should also be discussed. 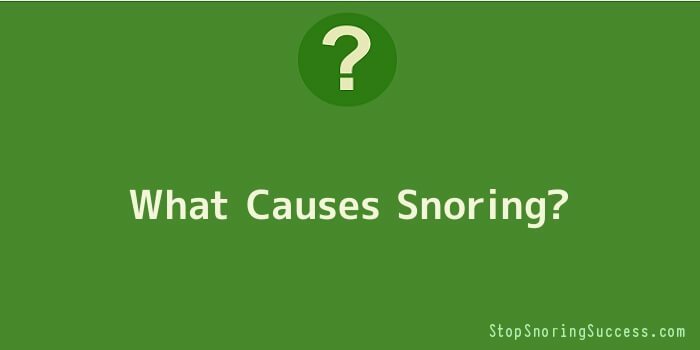 The causes of snoring can be manifold. You start snoring if your rear mouth muscles and tissues weaken and drop down to obstruct the air flow. Allergic conditions and Sleep Apnoea are other causes for snoring. Nasal and sinus problems, and excessive body weight, especially around the neck, can be a cause of snoring. As a result of snoring, sleep is disturbed. Hypoxia can result, where insufficient oxygen is available, and hypertension sets in. Snoring treatment is best when done non-invasively, employing weight loss, stoppage of alcohol intake, drugs, pain killers, antihistamines, etc, and correcting your sleep posture. Taking honey at night, using anti snoring devices like chin straps, mouth pieces, dental devices, nasal strips, and so on, can also help. Some of the devices like mandibular splints and CPAP (Continuous Positive Airway Pressure), have been found very useful as snoring cures. There are a number of surgical ways that widen the airway. The surgical options include simple tonsillectomy, where radio frequency is made use of to shrink the tissues at the rear of the mouth. It is for you to find out if an underlying condition could be the cause of snoring. It should not be ignored, and a diagnosis should be made by the physician. According to statistics, nearly half of the adult population snore and snoring increases with age. One of the best snoring cures is the Snore Doc Stop Snoring Mouthpiece. Over-the-counter medications are not very good snoring solutions; they only provide you with temporary relief. Medical professionals’ advice using Snore Doc Stop Snoring Mouthpiece, which is the best of all snoring cures, as it has been found useful in many snorers. The mouthpiece works by repositioning the lower jaw forward, which alleviates pressure on the palate and widens the air passage to allow free flow of air for snoring cures. What causes snoring in women may be due to some factors. The very common and basic reason of snoring is the interrupted air flow in the passageway of your throat. You can work in treating all of the reasons to these snoring sounds with various different methods as long as you understand the cause. You might find this article helpful in assisting you to identify the underlying cause to women’s snoring. The general causes are quite like the common snoring causes, which is regarding the stuff you consume. Smoking and alcohol are definitely not good, and you have to at least limit the consumption for some hours before your bedtime. As we all already know, smoking is never a good habit and it even disturbs the airflow that makes it difficult to breathe. Breathing difficulty during a sleep always results in snoring, so you have to be careful even if you are only a passive smoker. Not only makes your throat muscles loose and relaxed, alcohol also increases your weight, which is another cause of snoring, too. People with overweight tend to snore more than those who maintain their weight well. If you think this describes your condition, then it is a nice way for you to switch to a better lifestyle. Consider the healthier life as a wonderful bonus to the snoring treatment. The problem lies with overeating is especially encountered if you eat right before you sleep. The foods you eat, no matter either it is a heavy meal or only some snacks, would not be digested properly when you consume them near your bedtime. The added fats are increasing your body’s weight and put the pressure to the air passages in your throat, especially if the fat gathers in your neck area. For this condition, you have to consider exercising to burn the fats. Excessive fats make a louder vibration that causes a louder snoring sound as well. Menopause is what causes snoring in women for the most specific part. When a woman is in menopause condition, her estrogens levels decrease and the muscles are going to be relaxed, including the ones in her throat. This is why women who are undergoing menopause usually snore. Another common cause is the blocked nasal passages due to allergies, cold, flu, rhinitis, or sinus infection. It affects the passages to get obstructed and you are going to snore because you breathe through your mouth in this condition. Smoking also caused the blocked nasal passages that you want to quit it. The affected nasal airway by allergy condition is worsened at night, which is likely making you snore. Surely, improper breathing really leads most people to snore, even if they are not a daily snorer. If we talk about sleeping position, a woman that sleeps on her back will also get the airways blocked by making her tongue falls back and obstructs the airway. Again, this is also what causes snoring in women. Correcting your sleeping posture will be a right decision if this is your root problem of snoring.